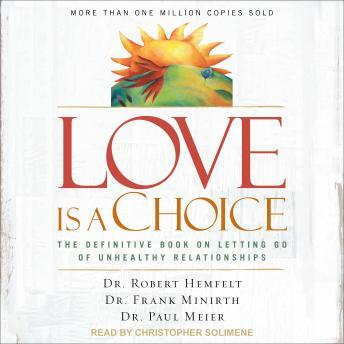 In Love Is a Choice, bestselling doctors Robert Hemfelt, Frank Minirth, and Paul Meierwalk you through their ten proven stages to recovery from codependency that results from external circumstances. Humans are susceptible to codependency because of our sinful tendency to use defense mechanisms to fool ourselves. In codependent relationships, deceitful games are played, and important Christian principles are often taken out of context and abused. God wants us to have healthy relationships with a balance between being dependent and independent. The doctors describe how the most effective means of overcoming codependent relationships is to establish or deepen a relationship with Christ Himself. They describe the causes of codependency, pointing out the factors that perpetuate it, and lead listeners through their ten stages of recovery.